Serve Braj group is fully dedicated to Save and Serve Braj Dham – the land of Radha and Krishna. Braj region hosts thousands of Leela Sthalies that contribute to Braj Culture. Our organization’s goal is to help protect and nurture Braj culture and thousands of years old Braj traditions. Do you want Happiness follow you? 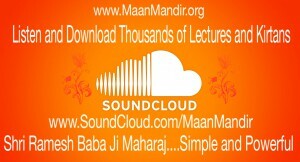 One of the best way to understand and know the culture and tradition of Braj is to listen to the narrations and commentaries of great scholars and Bhaktas of Braj. 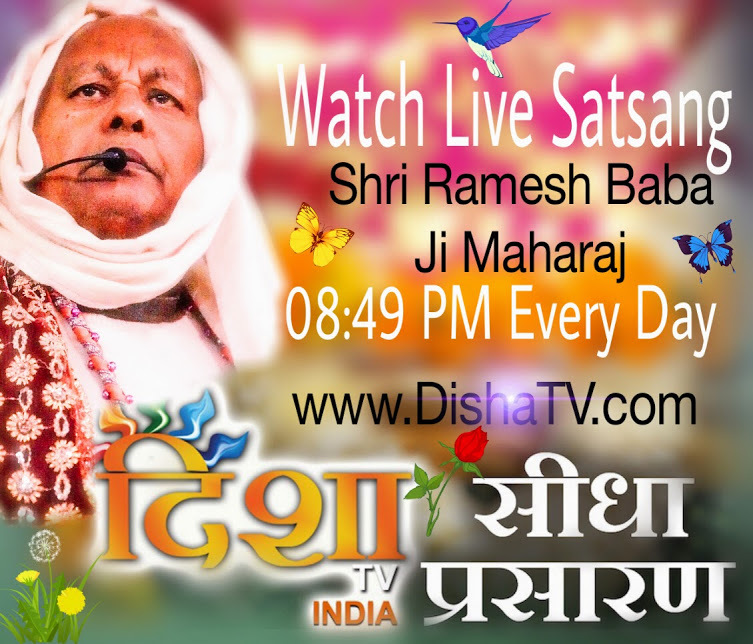 One of such living legends is Shri Ramesh Baba Ji Maharaj. He has dedicated his entire life in the service of Braj and is considered “Back Bone of Braj“. He is considered an authority on Braj literature. 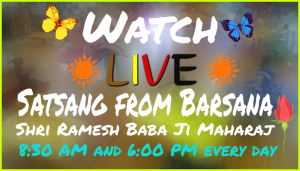 We are fortunate that we have access to his Lectures and Sankeertans as well as Live webcast right from Barsana Maan Mandir. Cow is not only a pillar of Indian culture but also is at the center of Hindu religious belief and an integral part of Braj Culture. Braj Dham Seva has been instrumental in setting up and maintaining Mataji Goshala, a unit of Shri Maan Mandir Barsana. The goshala has over 40,000 cows and growing at the pace of 300 to 500 cows are added every month. All of them are saved from being slaughtered. They are treated with great compassion and love, which make them happy and healthy in few days. You are most welcome to come and visit it. Braj 84 Kos Yatra, also known as Braj Yatra or Parikrama is a fairly significant event in Radha Krishna and Braj Upaasana (Bhakti). It is extremely important and a very popular spiritual observation in India where over 80 million people visit Braj Dham every year. Many Sampradayas and Aashrams organize it, however, it costs a lot of money provided the length of the Yatra (from few days to 40 days). With Shri Radha Rani’s mercy, Serve Braj has been fortunate enough to have the opportunity to work with Maan Mandir Seva Sansthan Barsana (www.MaanMandir.org) to organize Radha Rani Braj Yatra totally FREE of cost. The Yatra is now world’s largest Braj Yatra with over 15,000 participants, mostly the poor devotees, who otherwise cannot afford other Braj Yatras that cost anywhere starting Rs 10,000 unto lacks of rupees. All services provided in the Yatra is totally FREE of cost including tenting, lodging, food, medicine and many others. The culture and tradition of Braj can only be saved only if the next generation of Brajwasis get required education and guidance from Saints like Shri Ramesh Baba Ji Maharaj, who has spend all his life reviving and maintaining it. In addition to modern education, Braj Dham Seva is sincerely committed to our Vedic Education as well. We are working with Maan Mandir on “Maan Mandir Gurukul” project. We are helping establish a dedicated facility or School or Gurukul for Vedic education with required resource. The education will be provided for FREE of cost to to the children. There are over 100 children in the Gurukul currently. They are getting very high quality spiritual education. Not only that, they get to listen and attend Satsang from Shri Baba Maharaj himself. Glory of the children and the Gurukul is spreading in all directions. Like our ancient Gurukul culture, they go for Bhiksha every evening together. Every individual child is a gem and is contributing to the success of many Braj related projects. Shri Radha Ras Mandir in Barsana Mathura is truly a divine place on earth. Over 1000 people eat food at Radha Ras Mandir twice a day. As Shri Ramesh Baba Ji Maharaj always says, service done for the sake of doing the service itself without expecting any rewards in return is powerful enough to take care of all that is needed for the service. It is very important to note here that they don’t ask anybody for any kind of financial or other kind of material help. Whatever comes to them without asking is used for the service. Serve Braj group is fortunate to have an opportunity to support this selfless effort as much as we can. During festive season such as Rangili Holi, Radhasthami, Kartik Maas, Hariyali Teej, Mudiya Purnima, and other Braj related festivals, the number of people joining the feast goes up to 5000 a day. Service to Braj Dham is direct service to Shri Radha Krishna. Donate only if you are convinced that the services are worthwhile. PayPal has become one of the top choices for making online payments and donations world wide. A lot you wants to make payment through PayPal online giant. This option can be used if you wish to donate using your credit or debit card. Please know that donation made through Pay Pal goes in the account of Serve Braj Inc, USA. Serve Braj Inc has been working with Maan Mandir and has been instrumental in the success of many environmental and educational projects. They have been working very honestly and with great transparency. All donation made to Serve Braj Inc for Maan Mandir projects will be sent to Maan Mandir Seva Sansthan appropriately. All donations made through Pay Pal by US nationals can be claimed for tax exemption under Section 501 (c)(3) of IRS tax laws. Exemption can claimed under EIN – 81-4075549. All donations made through Pay Pal by the citizens other than US nationals may be considered international donation under your local tax laws. Please talk to your tax consultant on how you can claim the tax exemption in this case. Please use following link to make your donation. Please specify the project for which you are sending the money. In absence of the instructions, we will use this money for any of the Braj projects of our choice. Serve Braj Inc. is non-profit organization register under section 501(3)(c) of IRS Tax laws. 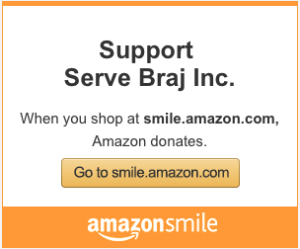 All donations made to Serve Braj Inc are tax deductible under tax ID – 81-4075549. Serve Braj Inc has been working very closely on various Braj cultural, environmental, educational, and other projects. You can also donate using Pay Pal option described above. Restore Braj is non-profit organization register under section 501(3)(c) of IRS Tax laws. All donations made to Restore Braj are tax deductible under tax ID – 26-3552899. NOTE: Many corporations match their employees charity contribution if the mission of the non-profit organization is complementary to their philanthropic mission. Check if you work for such an employer. Without much efforts, you can double your contribution. Contact us at info@restorebraj.org in case you have questions or need clarification. Demand Draft/Check to Restore Braj Inc.
Wire Transfer to Restore Braj Inc. Please specify the project for which you are sending the funds. If not specified, we will use the funds for any of the Braj projects of our choice. For Indian nationals – Please call us at numbers mentioned in Contact Us page and let us know that you have made donation using one of the options above. We will take it from there. Once we receive the funds, we will coordinate with you to provide you with 80 G Certificate. If you are interested to know more about our work or would like to join hands with us or wish to share your ideas with us, do write to us, we will love to hear you.